Professionals in the veterinary field can choose to apply their skills for the benefit of the community thus broadening their knowledge and reinforcing their commitment towards solving society problems. There is generally no minimum time requirement for volunteering with AFRISA. You just have to contact us and discuss the time you have available, your interests and skills and how they fit into our volunteering needs. works, how to run business, networks and partnerships coupled with his Creativity, Innovation and strong FAITH IN GOD have been a great asset to the development of AFRISA. 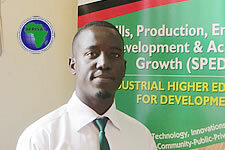 Michael is a partner in Farmers Planet Limited that offers consultancy services in the Agriculture and livestock, a practicing farmer owning Canan Country Farms, producing Milk in Kampala City and in Bushenyi District, Western Uganda. Michael was selected and awarded the “African Food Security Challenger 2013” by the Global Knowledge Initiative and Pennsylvania State University (PSU) of USA for his outstanding work contributing to Global Food Security and has continued to write and win many Grants in the area of Food and Income Security for communities, has delivered lectures on Agribusinesses, Food Security and Household wealth locally and internationally. 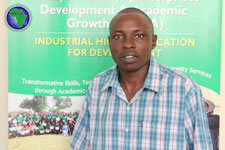 Michael used to lecturer on the Master of Livestock Development Planning Program (MLD) at the College of Veterinary Medicine Animal Resources and Biosecurity– Makerere University. He believes that the prosperity of the 21st century will be delivered by the livestock sector and that AFRISA presents an opportunity for Africans to “ride on the back” of the animal to prosperity. 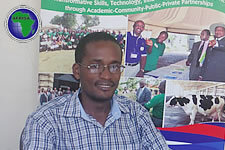 I chose to volunteer with AFRISA as an IT personnel because I wanted to Put spare time to good use, Learn new skills, make good use of the skills I attained at the University, build confidence and take on new responsibilities, be appreciated and feel useful and above all, to gain a sense of achievement. Trust me, it’s paying to volunteer with AFRISA and at the end of it all, you will have gained so much experience. Am proud to have started volunteering at AFRISA as a pioneer volunteer, am feeling so great because I see all my effort cultivating positive results since AFRISA is growing stronger each and every other day. AFRISA is changing people’s lives drastically. 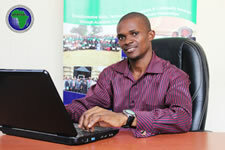 I put in my Information technology support to help the institution change peoples lives. 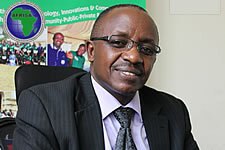 The vision of AFRISA is “Wealthier and Healthier communities in Africa”. As a veterinarian I chose to volunteer at AFRISA to be part of the team that is championing the paradigm shift from poor and unhealthy communities to wealthier and healthier communities. Volunteering with AFRISA has been a great pleasure, I have seen peoples lives and households transformed. I want this transformation in all corners of Uganda and poverty to be history. 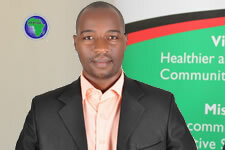 Will committedly keep working towards Healthier and Wealthier communities. I am fresh graduate with a clear, logical mind with a practical approach to problem solving and a drive to see things through to completion. I have a great eye for detail. 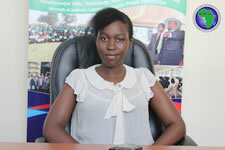 I am eager to learn, I enjoy overcoming challenges and I have a genuine interest in Business Development and Management. Being an AFRISA Volunteer (Enterprises Development), am provided with a platform with a myriad of opportunities to have my youthful efforts channelled to forwarding societal transformation thus Wealthier& Healthier Communities that we all here as a team envisage! I am proud to be a veterinarian and a farmer. I have identified a great opportunity for becoming wealthy through Livestock production. 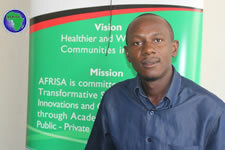 I therefore identify myself with AFRISA which vision is in line with my interests and expertise. I am here to contribute to the efforts of AFRISA providing solution to many people who may wish to become successful livestock and livestock products producers. Above all, I am proud to be part of AFRISA which has given me a platform to transfer my expertise to the community for national transformation. I want to see Ugandans both men and women, boys and girls make good use of wildlife resources (Fauna and Flora) to earn a living and compete favorably on the international market through value addition on the products of wildlife origin using the SPEDA Modal to make viable innovations, thus improving their standards of living to eradicate poverty. I chose to volunteer with AFRISA as an Animal production Specialist because I realized that it provides a lot of hands on trainings to the students so as to promote wealthier and healthier communities. 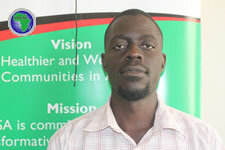 I feel blessed that I was given the opportunity to be part of the move as a volunteer through Apiary Value Chain. As a business administrator, with a lot of knowledge in working with communities, I am proud to be part of AFRISA in the enterprise development sector, were we teach people entrepreneur skills. So that we can create a new generation of Entrepreneurs. 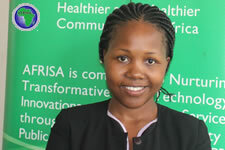 AFRISA is changing societies, into healthier and wealthierplaces to be. 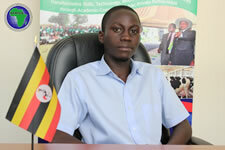 I am a holder of a Bachelor's Degree in Veterinary Medicine, Makerere University. I chose volunteer work with AFRISA because this institution is a good platform for show casing my expertise and experience in community extension. 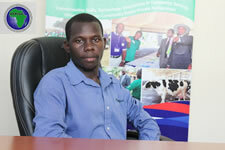 My passion is community transformation through animal resource management which is one of the focuses of AFRISA. I am looking forward to a long career of collaborative work with the institution in the years to come. 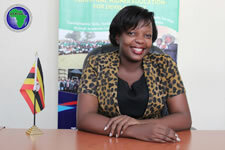 Kateregga is a Veterinary Doctor, also pursuing a master of Livestock Development Planning and Management at COVAB. Being very passionate about my profession, I found AFRISA a place to be because at AFRISA; we mainstream the animal resources’ Value Chain Education to create a Wealthier and Healthier community. It gives me pleasure to contribute to the community where I came from, especially through our approach of taking the knowledge, Science, Skills and innovations developed at the University, to the people in Communities throughout Africa.